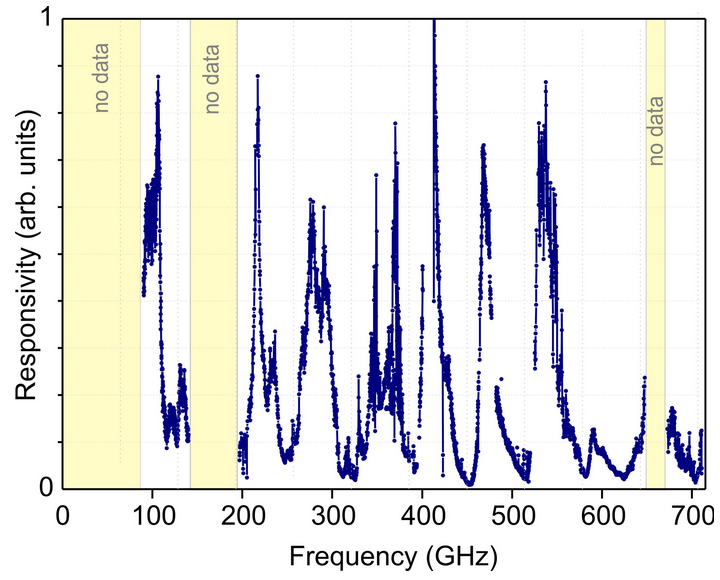 Home › News › Ultrafast detectors: specification in detail. 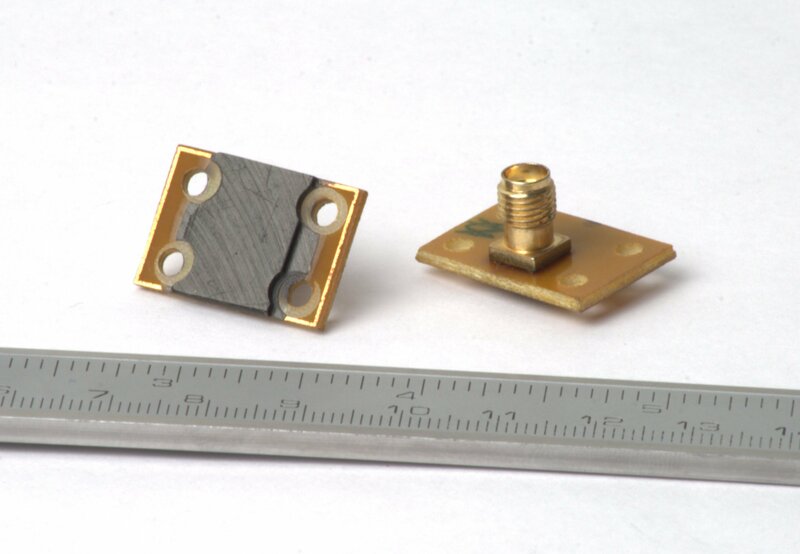 Ultrafast detectors: specification in detail. of frequency characteristics with brief remarks. TeraSense® detector response time was measured using mixing method. Graph on the left represents photoresponse of the detector (i. e. mixed signal amplitude) vs. differential frequency of base and reference signals Δf. Local reference oscillator frequency was kept at 97 GHz, power of both base and reference signals was constant. 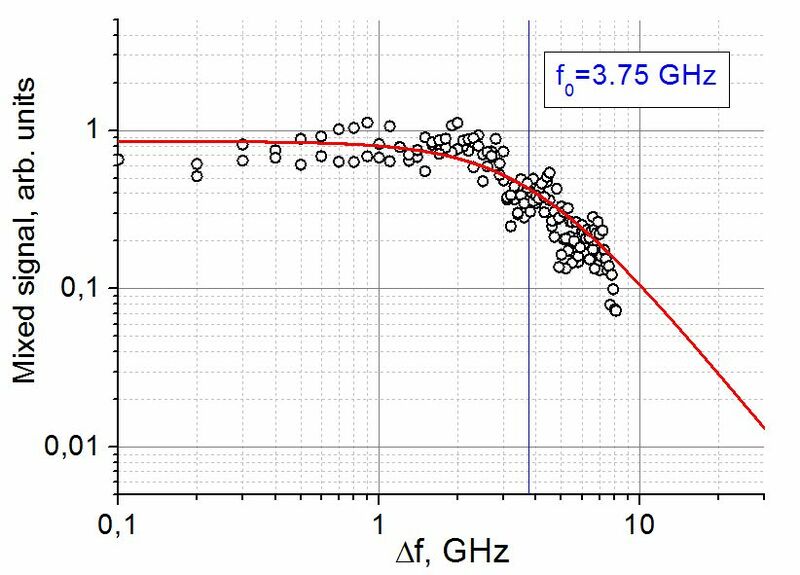 Photoresponse cut-off differential frequency f0 = 3.75 GHz, which corresponds to response time of 300 ps. TeraSense® detector is sensitive in a wide frequency range. However, due to radiation interference within the bulk of detector’s crystal, its responsivity has a multiband nature (see example in Figure to the right). Our specialists can tune positions of the peaks in responsivity curve at manufacturing stage. Clients can choose and order frequencies / frequency ranges required when making purchase request.